Located in Newcastle, Wallsend Vet is placed in the heart of the Hunter Valley. We welcome pets and pet parents from Wallsend, Maryland, Birmingham Gardens, Elermore Vale, and surrounding suburbs. 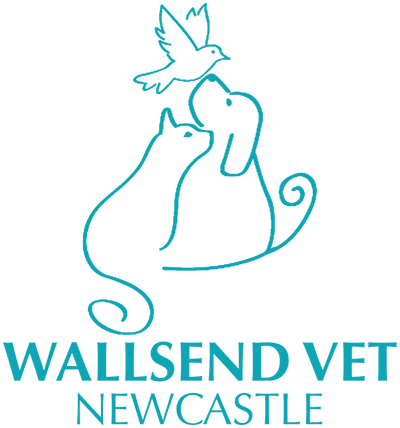 When your pet is in need of expert veterinary care, turn to the friendly team at Wallsend Vet Newcastle. We treat a large variety of species including cats, dogs, rabbits and guinea pigs, exotic animals such as rats, birds, reptiles and ferrets, some species of farm animals and many sporting and eventing dogs. We are devoted to providing personal, exemplary care to any animal that walks through our doors. What sets our vet clinic apart from the rest is 1. our Canine Lameness Centre which offers advanced investigation and surgical options for our injured dogs; 2. a separate Feline Centre (away from the dogs) where your "cat is treated like royalty" and all their problems are investigated with kindness and purrfection; and 3. a focus on team buliding and working with all clients to maintain their pet's health. We have the ability to provide progressive options in surgery including orthopaedic and dental, diagnostics and treatment. We have an advanced in-house pathology laboratory with state of the art diagnostic equipment for fast and accurate results. Dr David Larratt (BVSc, IVAS) is a licensed animal acupuncturist. As well as acupuncture, we also offer homeopathy, herbal remedies, physiotherapy and chiropractic treatment depending on your pets needs. Our dedicated team looks forward to welcoming you and your pet to our veterinary family.